A Canadian Visa opens up a life full of opportunities. A great career, an exciting work-life balance, serene living surroundings and a chance to grow and prosper await you at Canada. 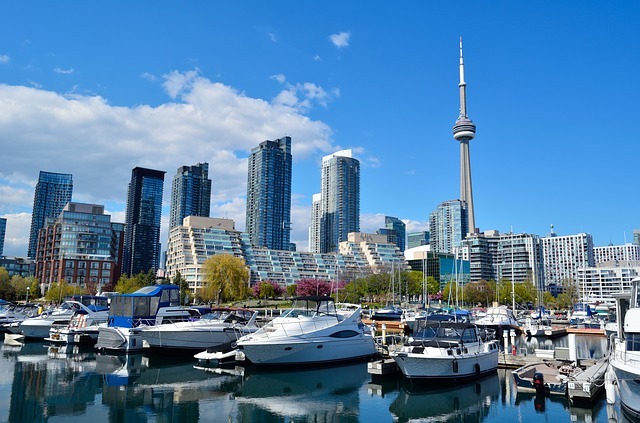 Why you should apply for a Canadian Visa? Look at some recent studies and you will need no further reason to live in Canada. The World Happiness Report 2018 finds Canada in the 7th spot in its ‘Happiest Countries List’. The Lonely Planet’s Best in Travel 2017 puts Canada in the top position. The U.S. News and Report’s Best Country list has Canada in the second position. Why wouldn’t anyone want to live and work in such a country? Canada also offers a peaceful, conducive and thriving atmosphere to skilled professionals, business personalities and families. It is also a great place to learn and embark on a lucrative career path. Canada is opening its doors to people from all over the world who can contribute to its economy and culture. All you need to do is apply for a visa. Though Canada offers visa in different categories, you will have to find where you fit and apply accordingly. First, decide what your profile is and then start applying, as there are different visas for different professions and persons. There are many types of Canadian Visa such as student visa, family sponsorship visa, skilled worker immigration visa, tourist visa, and business visa. The procedure of getting a Canadian Visa needs multiple procedures. You can apply directly but if you are unsure on how to go about it, there are immigration counselling and representation firms like Siminca; Society of Immigration and Investment in Canada that can be of great help. They will guide you in every step and help you get a visa for Canada in less time. As each category indicates, the visas are issued to persons who suit the profile. Student visas and tourist visas are for students who would like to study in Canadian Universities and tourism visitors respectively. If you have a family member living in Canada as a permanent citizen, you are eligible for a family sponsorship visa. The visa gets families to live together, a value that the Canadian Government holds in highest regard. Businesses need an environment of facilitations and assistance. If you get a business visa, you will be able to spread the wings of your business all over the developed economy and not just contribute to the economy of the country but also gain more success in your business and work. It is not that everyday a skilled personnel gets a work environment he or she desires. Canada is the right place for professionals with different skill sets. Apply for a skilled immigration visa and you will be happy to know of the opportunities that are waiting for you.